Digital tachograph regulations require you to do digital tachograph card file downloads at least every 90 days and driver file downloads every 28 days. Keeping up with the schedule can get troublesome if your vehicles are going for long trips or are working abroad all of the time. Downloading data remotely and automatically allows you to stay on track with ease. 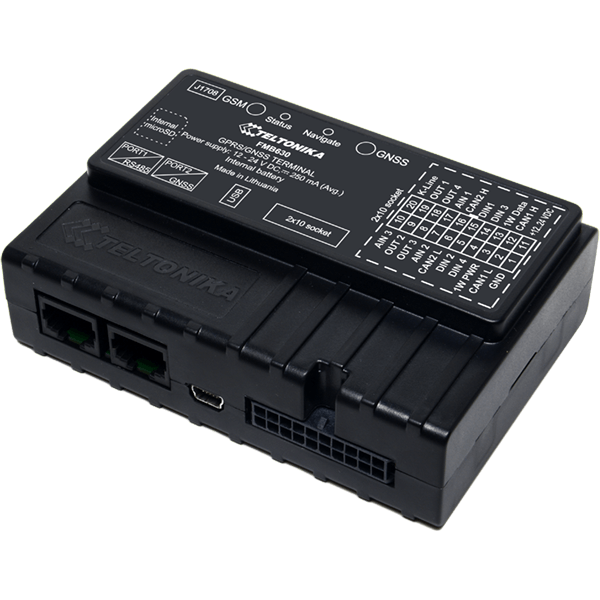 Mapon digital tachograph remote data download solution allows you to download both - driver cards and vehicle unit data. As soon as the driver's card is inserted in the tachograph, Mapon system automatically checks whether the card must be downloaded and starts the download if necessary. According to our calculations, you can save up to 30 minutes per vehicle per month by automating tachograph data download. Set up a download schedule and let Mapon take care of it for you. Set-up a custom download schedule for your business needs - once a month, once a week or starting from a specific date, e.g. the first day of the month. Digital tachographs require re-calibration once in every two years. Missing a calibration date can lead to huge fines during roadside checks. Mapon digital tachograph remote data download solution is integrated with our Fleet maintenance solution to ensure you don’t miss re-calibration date. As soon as the vehicle file is downloaded, next calibration date is extracted from the file and set up as a service reminder for that specific vehicle. Doing digital tachograph data downloads is just the first step to managing tachograph compliance. The next step is analyzing this data. Mapon has all the necessary tools for this. We have worked hard on professional integrations with several analysis solutions - Tachogram (our own digital tachograph data analysis solution), idhaOnline and Optac3 by Stoneridge. Choose your analysis platform and make the next step to managing tachograph compliance. Professional GNSS/GSM/Bluetooth Terminal for advanced applications. Interested in digital tachograph remote data download? Request a quote and we will help you with digital tachograph compliance.